For the last home game of the regular season, Maranatha hosted Heritage Christian on Senior Night. The Minutemen were on the hunt for a win, and it was the the seniors who led the way. Brenton Holstein was responsible for producing the first Maranatha goal, and ultimately the game winner. Matthew Morales put a shot on target, and the keeper deflected it right into the path of Holstein, who put the ball in the net. That goal put Maranatha ahead, and they never looked back. Midway through the second half, Josh Osterman took a free kick from thirty-five yards out, and Matthew Morales flicked the ball past the diving Heritage keeper for the second and final goal of the game. Maranatha earned the shutout, and senior keeper Reese Turknette kept his clean sheet. 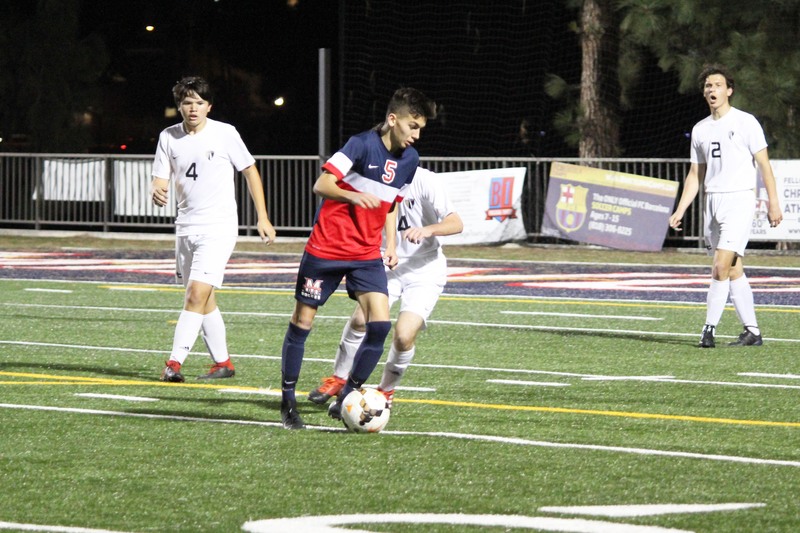 Maranatha is on the road on Thursday against Valley Christian in Cerritos for the final Olympic League match of the 2019 season. Kickoff is at 4pm.